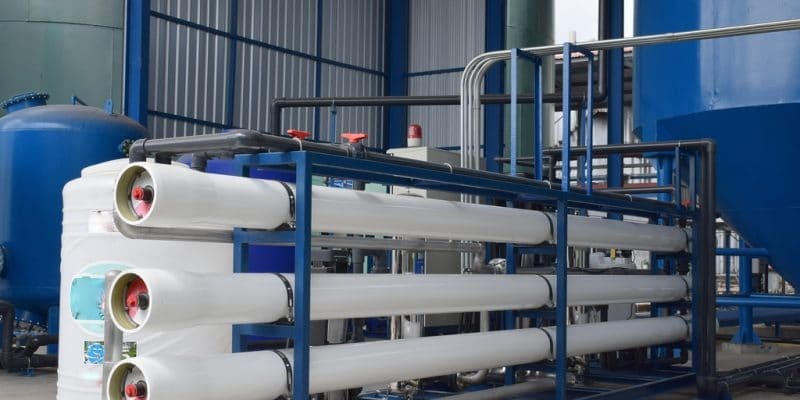 The new seawater desalination plant that has just been inaugurated in Caverne Bouteille in Rodrigues, an island located east of Mauritius will solve the problem of part of the population suffering from water shortage. Rodrigues is a small island located more than 580 km east of Mauritius, populated by some 41 000 habitats. The effects of climate change are palpable, especially with drinking water becoming increasingly scarce. Residents are forced to travel long distances for water whereas Rodrigues is surrounded by sea water. To exploit this resource, the French start-up Quadran (acquired in 2017 by Direct Énergie, itself acquired in 2018 by Total) built a seawater desalination unit using solar energy. Quadran’s new plant is capable of supplying 80 m3 of water to 2,400 people in Rodrigues. However, the company states that it is capable of desalting 400 m3 of water by running on hybrid energy. To carry out its project, this young company, which employs 230 people, received funding from the European Union, the Indian Ocean Commission (IOC) and the French Global Environment Facility. The project to build a seawater desalination unit is part of the IOC-Energy programme with an objective to provide financing for renewable energy development projects in the Comoros, Madagascar, Mauritius and the Seychelles. The Osmosun technology, used for the seawater desalination unit on Rodrigues Island, is developed by the French company Mascara. It is a seawater desalination solution integrating the use of solar photovoltaic energy by reverse osmosis, without batteries. It allows access to drinking water at a lower cost. A similar plant will be built by October 2018 in Cape Town, South Africa. It is built by TWS-Turnkey Water Solutions, with a capacity of 100 m3 of water per day. With hybrid energy, it can produce up to 300 m3 of water per day. Mascara Renewable Water uses this technology to build boreholes and treat water in coastal countries. This is the case in Abu Dhabi, the capital of the United Arab Emirates, where its desalination plant produces 40 m3 of water per day in complete autonomy. Other African countries facing drinking water problems and with access to the sea are expected to follow the example of Mauritius and South Africa.